Please, please, PLEASE give the user more transparency. Too much minimalism is a bad thing. For example show the IP address like the Desktop app does. Give the ping times in milliseconds like the desktop app does. Give the server load averages. Show which server was selected by Best Location. 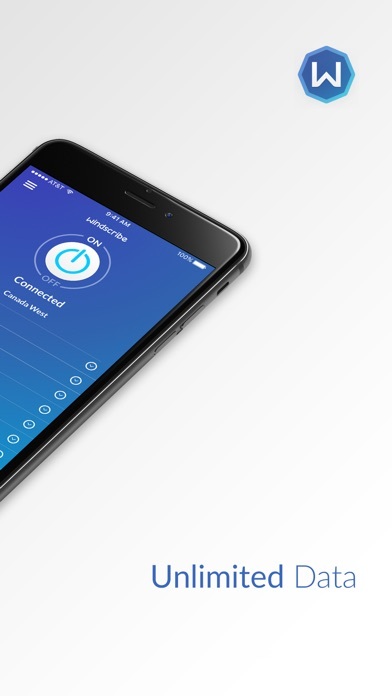 There are good places for minimalism, like your living room and your car's climate controls. But not a VPN app. Plus the app is very frustrating when it hangs. Becomes unresponsive at times and must be killed via system settings. when i connected cant load instagram page or some apps. im live in iran and have permuim account . R.O.B.E.R.T. Works Great! This app is worth the price. I opened one of their reminder sort of emails today. I paid for the Pro version, so I get features the freebie doesn’t offer. I wasn’t using those features, so Windscribe sent the reminder. I turned on R.O.B.E.R.T. only to find I’ve been missing out on this effective part of their VPN service. Instantly I saw, rather I didn’t see the missing ads in my NY Times app. Same for the W.P. Amazing! This is an outstanding feature. Well worth the $19.00 I paid for a year of Pro. Yeah, I know it’s $10.00 less than the current price, but I snared it on a “special” deal they were offering in December. It’s really fast and secure. But it just has a minor issue and I think it’s only on the iPhone which is that whenever you refresh the app, and enter it again, you can’t turn it off unless you connect to another server. But besides from that, it works amazingly well! As of the last few weeks I’m having problem autoconnecting to the VPN and the app is unable to control it. I have to go to setting, disable connect on demand and then disconnect to get my internet back. One of the best I’ve tried! Easy, simple and newly added features. I’m sold. So far used at home over cable modem internet have been awesome on PC, MAC and iOS. I loved it and recommended!!! However, when used in school over wifi Internet in iOS was a no go, could not connect, does not work. My guessed chool firewall blocked. Tried other brand VPN iOS apps had no issue connect from public school wifi and surfed Internet all restricted web sites fine. 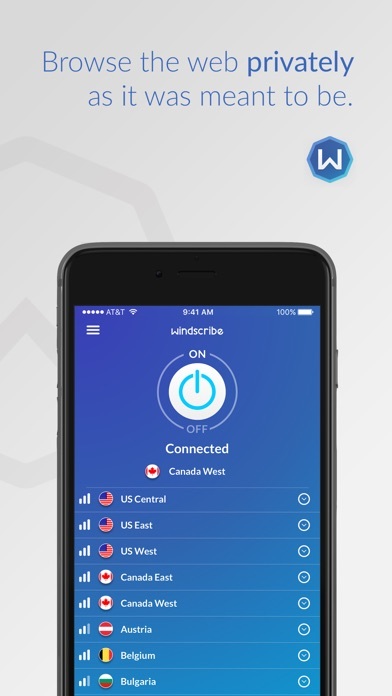 Please upgrade or add feature to Windscribe on iOS so would work over school wifi similar to other brand VPN apps. 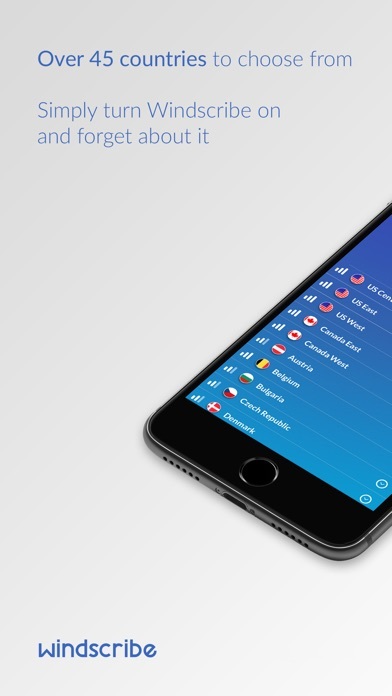 This is the most generous vpn ever, providing 10GB free traffic allowance every month. And it’s working in certain country (I won’t mention which it is, you know it). Though the free bandwidth is sufficient to me, I paid it as my humble support to Windscribe.